Rust free , paint needs finished, and runs. No doubt paid too much but after looking at rust buckets for the last three years, seems I could not pass it up. Screaming 997 power on 13in wheels. Clutch needed adjustment and the steering needs some work. I'm assuming that you're North of Seattle? No, I'm on the Olympic Penninsula, a ferry ride from Seattle. Sweet looking car! Same color as mine. Must have been influenced by the Harry Potter movie. At least mine was. I got mine out of Canada and it was used for advertising the movie, according to the fella who found it and had it refinished. By the way what year is it? What a great buy! Of course I am biaised as I own a 59 105E over here in the UK, in fact mine was first registered 50 years ago today. I should have had a birthday cake made in the shape of an Anglia, lol. I hope you enjoy your motoring with the 997, all 39 horsepower of it. They are okay, I cruise along in mine at 65mph no problem. And they're very economical unlike my Chevy. Although the Chevy does cruise somewhat faster than 65mph. 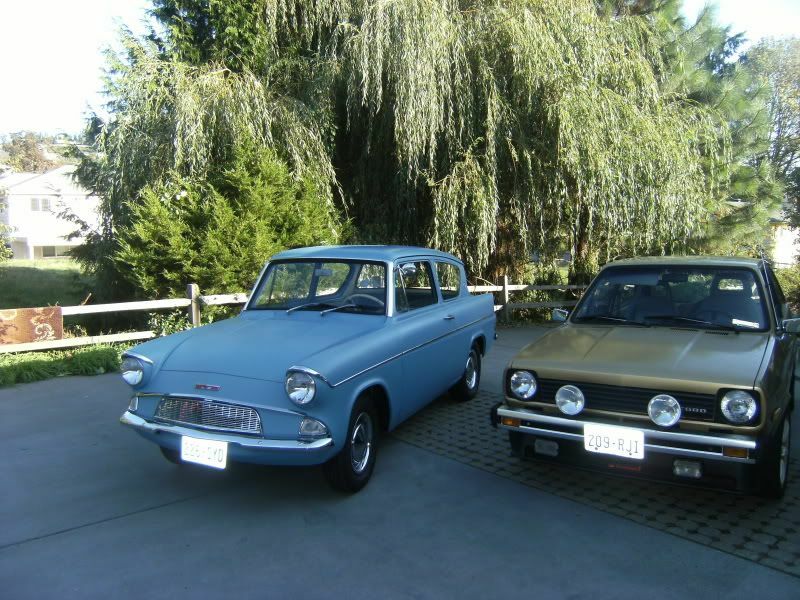 I can't see your picture, but did you buy that Anglia in Belfair? I had talked with the owner but was never able to actully see the car other than in pictures. If this is the same car I'm thinking of, it has a unique to North America grille (borrowed from the van) that was only used in 1962 and 63. 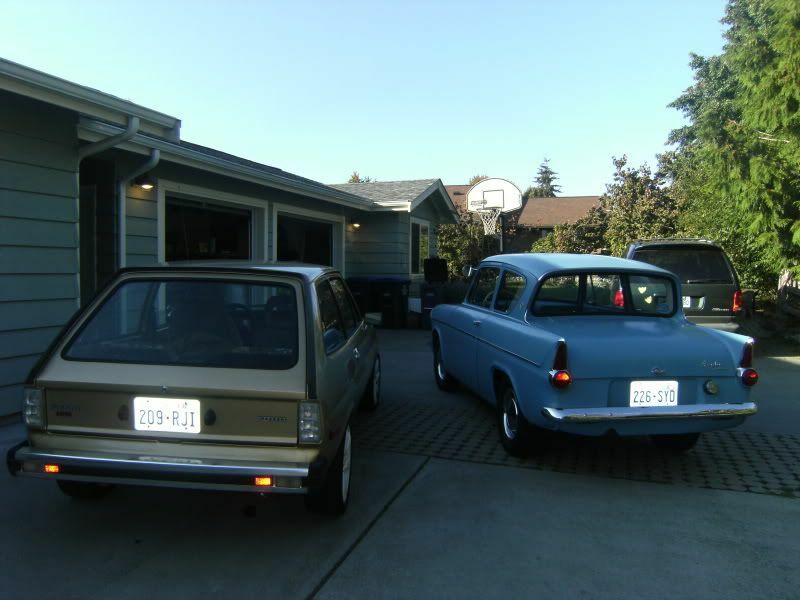 Paul -- Happy Birthday to your Anglia, yes I think a cake would not by out of line for the world's oldest 105E. Yes Michael a cake would be most appropriate especially as I turned 55 yesterday, lol. I think Lee's 105E is older than mine, his is probably a pre-production car more than likely used for road tests etc back then. Indeed I found an American magazine with a test of the Anglia from 1960 which may be his car. They are great little cars. I can see your picture today and it looks great! If the car is rust free and you paid what I think the asking price was, then you didn't over pay. I look forward to seeing it in the metal.